By Steven Biller. Photography by Ethan Kaminsky. A couple’s passion for studio glass inspires a collection whose best pieces earn a place in their namesake gallery at Palm Springs Art Museum. By Allison Engel. Photography by Mark Davidson. 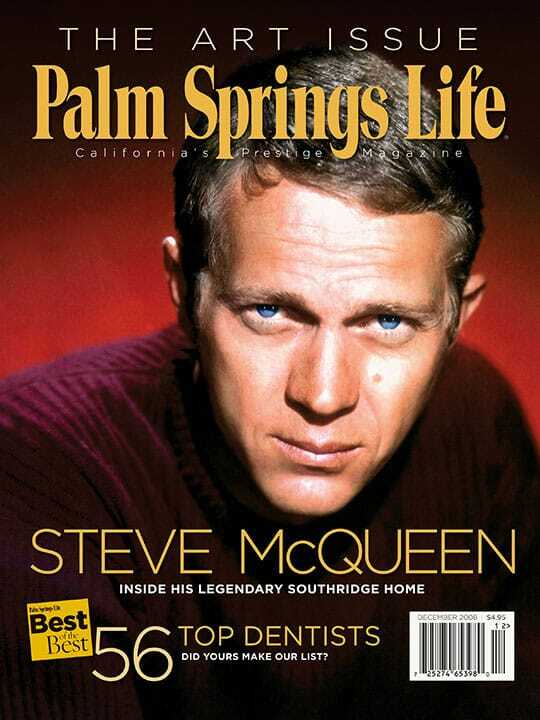 Steve McQueen made Hugh Kaptur’s Southridge house his own. We’ve identified the top dentists in the Coachella Valley. By Jeffrey Crider. Photography by Jennifer Brewster. Long days and extraordinary altruism of doctors and other volunteers transform lives in Ecuador. Slow but steady goes the art market. Next time you dine out, you may leave with more than a doggie bag; big on miniatures at J. Willott Gallery; Ziggy the Peke’s brush with fame; painting the town; and more. Fill your surroundings with artful and practical pieces. Dig in and taste the winemaker’s life. The new Porsche 911 looks familiar, but it’s different in almost every way. Foreign collectors keep money flowing through the U.S., art market. Trying to find the man behind the paintings proves difficult when that man is Paul Grimm. 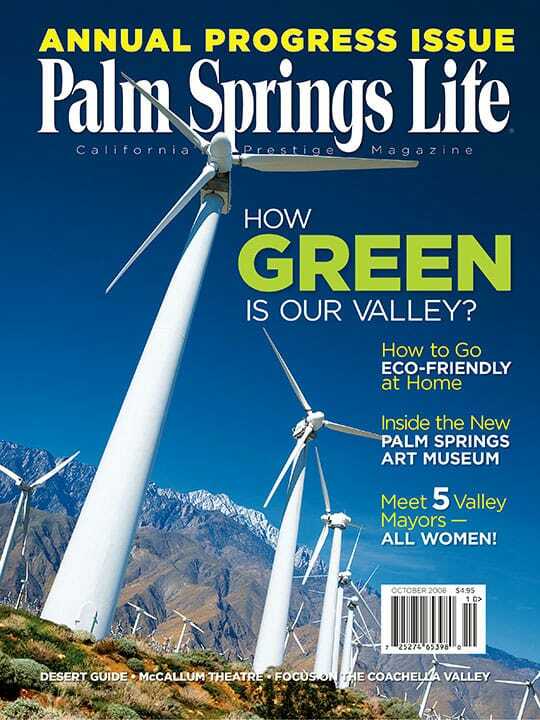 The official guidebook of the Palm Springs Desert Resorts Convention and Visitors Authority. Everything you need to know about what’s happening in the desert. Plus: Winter/spring 2009 gallery and museum guide.